There was a time that cruise vacations were thought of as an escape for adults and families often shied away from them, but times have changed. In recent years, cruise lines have been catering to the needs of young families and attracting them in droves. And, why not? 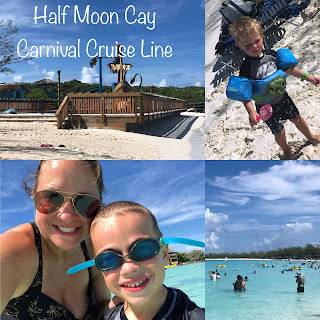 As a mom with 2 young boys, cruise vacations are some of my favorite. You have a floating city with seemingly endless amounts of delicious food, entertainment, pools - all while sailing to beautiful and exotic destinations - a new port each day! Sounds perfect, right? But we all know that traveling with toddlers and preschoolers isn't always as easy as the Instagram stories you see would make it seem. Here are a few tips and tricks I've picked up over the years that may just make your family cruise even more enjoyable! 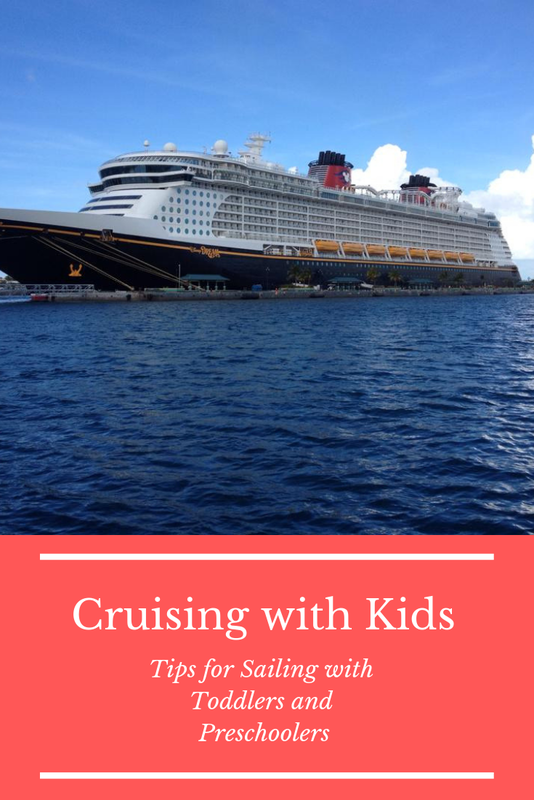 Research the Kids Clubs - Regardless of which cruise line you're sailing, most have space just for kids on board. . .and this is fabulous news for moms and dads everywhere! Kids will actually want to go and hang out in these amazing spaces which means that there is built in fun in store for your whole family. Depending on which cruise line you choose, there are different age limits on these kids clubs. Many of them start at age 3, but Carnival Cruise Line starts admitting kids as early as 2. Some cruise lines even have nursery spaces, often for an additional cost, which can give parents a chance to sneak in some grown-up time on vacation. 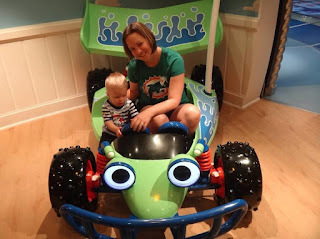 We used the nursery on Disney Cruise Line when Brody was a toddler each at sea day for nap time. It gave us guilt-free time to enjoy the Quiet Cove pool and relax on the deck. Pack for Success - Let's be honest. You're in the middle of the ocean, floating on a boat, with a tiny human being that demands lots of things. Part of the packing trick for cruises is not too much, but definitely enough. While cruise lines have become more kid friendly, you won't find all the comforts of your neighborhood Target on board. Pack more diapers then you'll think you need - they'll cost you an arm and a leg on board. Bring some baby ibuprofen and such to help with teething or ear aches or whatever comes your way. Definitely think about kid friendly snacks and baby food that you may want to bring along - a pack of goldfish can go a long way in holding off a meltdown while you're in port! I also highly recommend grabbing a few packs of disposable sippy cups. 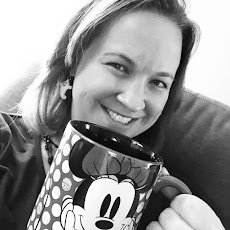 Not all cruise ships have kid friendly cups available for use! On each of our cruises with the kids, I've brought an over-the-door shoe organizer and used those pockets to organize all of the kid essentials. But Don't Pack Too Much! - Cruise staterooms are tiny, even on Disney Cruise Line which tends to boast more space for families. Think about what you need - not what you want. A special blanket or favorite stuffed animal is important to bring, but packing a suitcase full of toys will only clutter up your room and won't really serve much of a purpose. Most likely, you also won't need a stroller on the cruise. And most ships offer Pack 'n' Plays if needed for younger toddlers. Older toddlers and preschoolers should be just fine in the beds provided. Each cruise line has different options available so definitely do your homework! Take a Look at Excursions - One of the best parts of cruising is exploring all that your destinations have to offer. When looking at excursions, keep your little ones in mind. Some excursions have age restrictions that will play into your decision making. For example, snorkeling cruises and ATV adventures probably won't welcome your toddler and preschooler. We tend to stick with beach or water park fun with our young ones, but we did venture out on an 11 hour bus tour of Cuba a few cruises back which actually turned out to be pretty fun - even with a 2 and 5 year old! And if you're cruising on a budget, don't forget to look at pricing on excursions. Some may be free for young children! Many of the cruise lines have private beaches and islands on their Bahamian and Caribbean destinations which have great options for families. 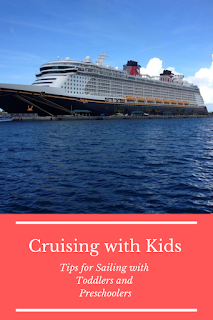 Disney Cruise Line features a kids club on the island with supervision so parents can sneak over to Serenity Bay while Carnival Cruise Line hosts a pirate-themed water playground on Half Moon Cay. What About Travel Documents? - Currently closed loop cruises that depart and return to American ports don't require a passport, only your birth certificate. However, travel document guidelines are always changing. We always cruise with a passport for our children though as you never know what emergency might strike while traveling abroad. Remember that you will need several weeks to process a passport application and both parents need to be present when submitting the application for a minor's passport. Passports for children under 16 are good for 5 years so, depending on your vacation habits, you may be able to get several trips out of them! Cruising has certainly become a family friendly travel option, allowing time for relaxation and excitement all packed into one vacation! With so much to see and do on the ships from exclusive kid spaces to family entertainment and the opportunity to explore new destinations, you can discover a whole new world! Where will your next cruise vacation take you?